In this tutorial you will find five cabochon designs with fifteen different textures inspired by shells, corals, sea urchins, and other under the sea things. 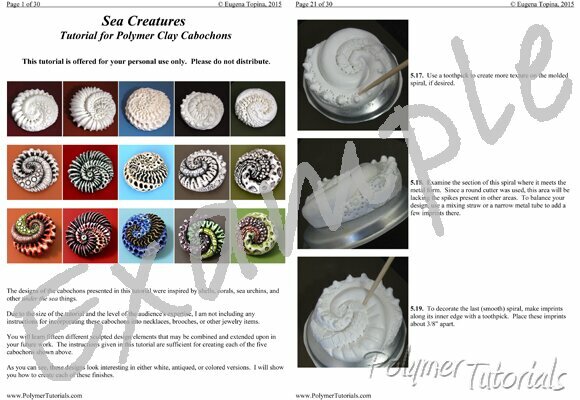 Use these polymer clay cabochons to make pendants, necklaces, pins, and many other jewelry and decorative items. And how to paint these cabochons with alcohol inks. Love the distinct shape and the textures. Erin (Wisconsin, U ..